I’m excited to tell you today about a great new historical fiction title: GIOCONDA. I love reading about Leonardo Da Vinci! For more information please visit Lucille Turner’s website. You can also connect with her on Facebook, Twitter, and Goodreads. 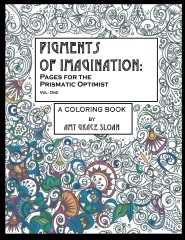 I had heard about this book via the blogosphere, so I was thrilled to get a copy via Net Galley to review. 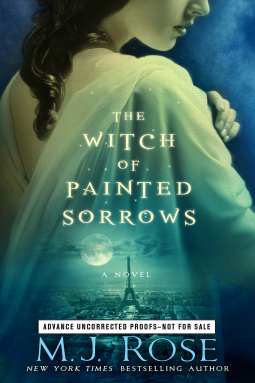 In THE WITCH OF PAINTED SORROWS, young Sandrine runs away to Paris in the late 1890’s to get away from her abusive husband and to seek solace from her grandmother. Sandrine is convinced that her husband caused the death of her beloved father and she is determined to make a new life for herself in Paris. Her grandmother is not at her home, though, and Sandrine finds that work is being done – and by an interesting and attractive young architect. 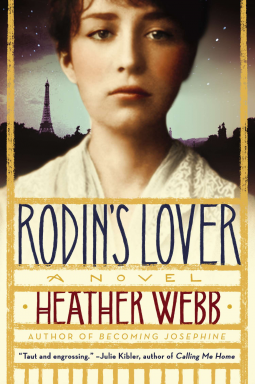 Sandrine, reserved and conservative by nature, finds herself becoming attached to the young man, being almost obsessed with painting, and finds herself connected to her grandmother’s house – a house where generations of women of her family have loved and lost in dramatic, almost supernatural ways. Everything connects back to “La Lune” – Sandrine’s ancestress. Is Sandrine just coming in to her own, with wakening desires and talents? Or is the spirit of La Lune possessing her, and using Sandrine to obtain her own wants and needs? I enjoyed this gothic, historical read a lot! The supernatural was an interesting touch, though I enjoyed the history aspects more than the descent into black arts and possession. I wasn’t too keen on the ending as I always want closure (closure! I demand it!!) but it looks like this book is the first in a trilogy, so I’m sure my questions will be answered in the forthcoming novels. This one has a little bit of a lot of things: Belle Epoche Paris, art, history, witchcraft, romance, suspense, etc. 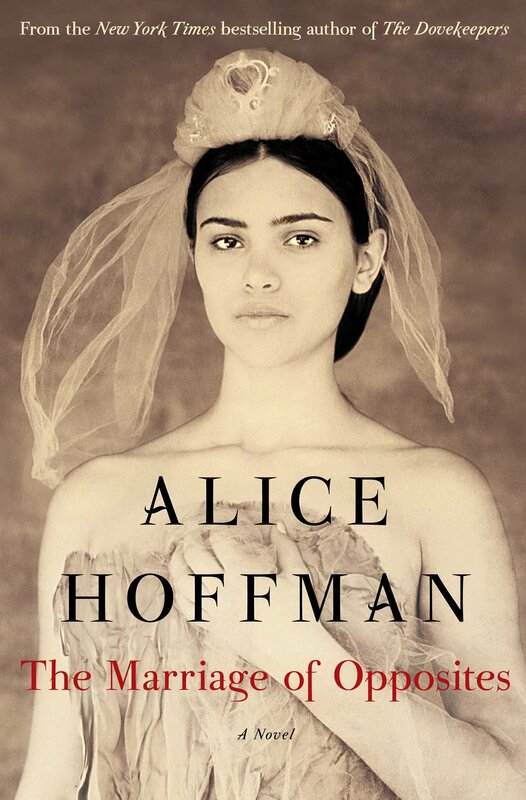 While I received THE BUTTERFLY AND THE VIOLIN through Net Galley, I was never able to access it as it had been archived, so I got a copy through my local library. This was a haunting read that goes back and forth between current day and WWII. This book is subtitled “A Hidden Masterpiece Novel” so I am assuming it is the start or part of a series. 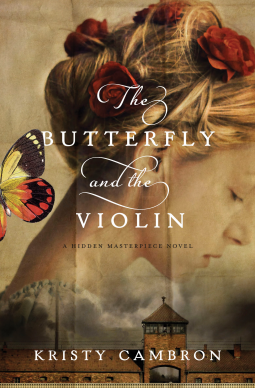 THE BUTTERFLY AND THE VIOLIN starts with modern-day Sera, an art dealer in New York, as she searches for a painting she saw when she was young: a beautiful girl playing the violin in Auschwitz. Sera has spent years looking for the original and just when she thinks she is close to finding it, complications occur in the form of a young business man from San Francisco who is also seeking the portrait. The story switches to the past so we can see how the painting came to be. Young Adele is “Austria’s sweetheart”, a violinist whose father is a high-ranking officer in the Third Reich. She is in love with a fellow musician and together they try to help Jewish families to hide or escape to safety. Adele is caught and sent to Auschwitz where she is put into the women’s orchestra, a group of musicians who provide daily music at the camp while prisoners are sent to work or are taken off the incoming trains. Much of Adele’s story is how she and the other women work to stay together and stay alive, even though they find their task gruesome and disturbing. Sometimes the story has us in Auschwitz, sometimes back before Adele was arrested, and sometimes current day with Sera and William as they look for the portrait. This book is listed as Christian Historical Fiction. There are strong messages in it about God’s gifts to us and using the gifts we have, along with finding God’s presence through embracing life. If I could change one thing in this book it would be to make the “past parts” more in order chronologically. I found it somewhat jolting to go from past to present to past but four years earlier than the last time we were in the past to present, etc. I also was troubled by how easily Adele’s parents sent their only child, barely more than a teen, off to a concentration camp. If you like WWII reads and enjoy strong Christian messages in your story, along with some romance, you should read this book! The historical note at the end talks about the real life women’s orchestras in camps at that time. Rhys Bowen recently came out with a new Molly Murphy mystery. If you read me, you know I’ve read them all. I really enjoy historical cozies and Molly is one of my favorite female sleuths (though I have to admit to an even greater fondness for Georgie of Bowen’s Royal Spyness mysteries!). In this installment, Molly is headed to Paris to stay with friends Sid and Gus after a horrible bombing of her home in New York by an Italian gang. She and Daniel and the baby weren’t hurt, but sadly their young maid was killed. Molly has barely gotten her feet on solid ground when she’s landed in to the middle of a murder mystery. Where are Gus and Sid and why did they leave so suddenly? Who murdered the painter Reynold Bryce? And will Molly ever find her friends or have to go back to NYC? Once again, Ms. Bowen has written a lively and well-crafted mystery, this time in a unique location. Paris at the turn of the century was a vibrant and beautiful place (it still is, but you know what I mean!). 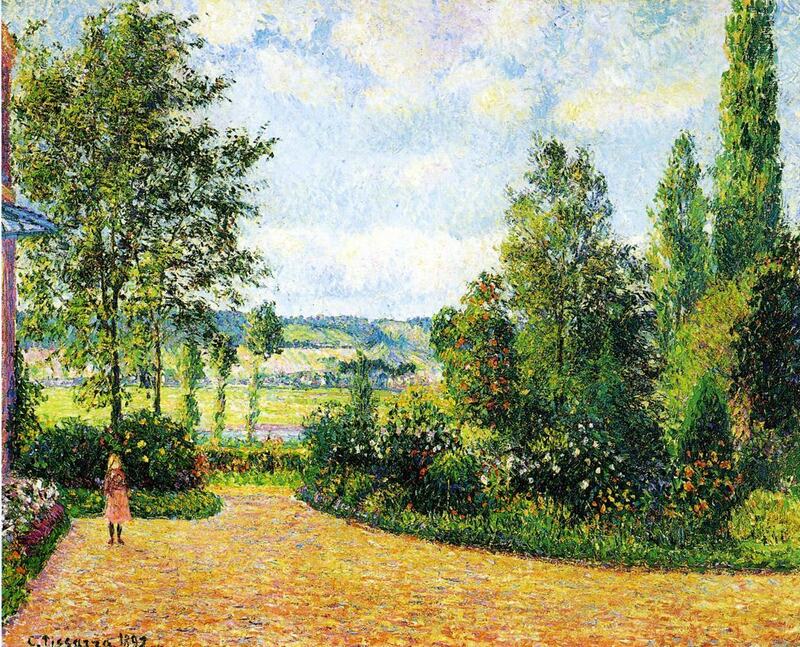 The art culture is explored here, and I was delighted to see many well-known real characters brought to life: Picasso, Degas, Monet, Mary Cassatt, Gertrude Stein. Molly interacts with all parts of the city, but especially the Montmartre district in her quest to find and then help her friends. I did not guess the murderer (kudos to Ms. Bowen!) and enjoyed reading this right up to the last page. This might be my favorite Molly mystery yet. Another home run for the Molly Murphy series!